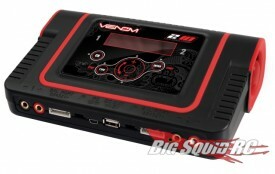 Venom Group’s New Dual Charger « Big Squid RC – RC Car and Truck News, Reviews, Videos, and More! More charged batteries means more bashing! 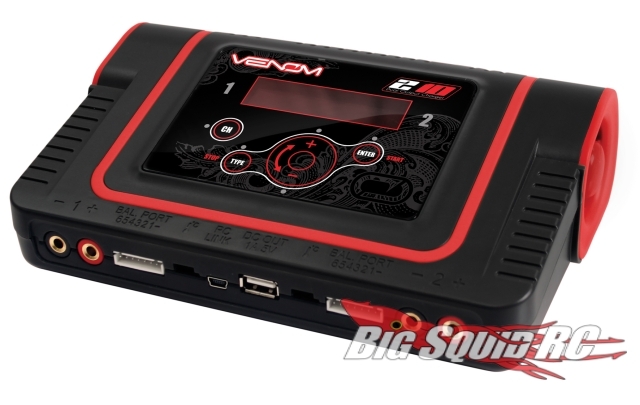 Charge two batteries at once with Venom Group’s new 210 Dual Output Multi Charger. The new charger includes dual cell balance blocks for lipos, a temperature probe, USB and charge monitoring software, alligator clips, and two charge leads ready for your choice of connectors. It even has a USB port to charge your smart phone or digital camera so you don’t miss any action. The charger will be avaliable in early April, retailing for $279.99. Hit up the Venom Group website to learn more!